Is Medicare only available to me when I turn 65? President Johnson created the Medicare program in 1965. Oddly enough, this was one year after the “baby boom generation” period ended. More than 12,500 people in the US turn 50 every day, and as the population has grown older, the Medicare program has also expanded. If you are eligible and under the age of 65, then you can start receiving Medicare assistance to pay for your medical bills. Medicare breaks down into different parts known as Part A, Part B, Part C and Part D. You may qualify for all Medicare plans even if you are under the age of 65. Whether you are 18 or 32, if you have Lou Gehrig’s disease, kidney failure or certain disabilities, then you are eligible to receive Medicare benefits. There may be a waiting period, however, before you are able to receive any benefits. These are some details on how to get Medicare if you fall into one of the under 65 categories above. Amyotrophic lateral sclerosis (ALS) is mostly known by its common name, Lou Gehrig’s Disease. This is a disease that affects the nerves in the human brain and spinal cord. The neurons progressively degenerate until they die. Patients often become completely paralyzed with the loss of motor neurons. For these individuals, people with ALS can apply for social security disability benefits, and as soon as you start receiving those benefits, you are automatically enrolled in Medicare. There aren’t any waiting periods if you have this disease. In this case, your process starts by applying for social security disability, which you can do online. You are covered under Medicare Part A and Part B, which covers all of your doctor’s visits, hospitalization, skilled nursing facilities and other medical needs. End-Stage Kidney Disease occurs in the last stages of chronic kidney disease. This is when kidneys can’t support the body’s needs any longer meaning that it can’t remove waste or excess water. The most common reason for this disease is if you have high blood pressure and diabetes, but there are other causes for kidney disease. If you have End-Stage Kidney Disease, you are only eligible for Medicare Part A and Part B. You cannot receive Medicare Part C or Medicare Advantage with this illness. In addition, you must need dialysis or kidney transplant in order to qualify. You can’t receive Medicare until three months after starting dialysis. Once a doctor diagnoses you with kidney failure, you’ll start the process through the Social Security Administration and will automatically be enrolled in Medicare. If you are on Social Security Disability, then you also can receive Medicare, and you may even be eligible for all Medicare plans including Medicare Advantage, prescription drug coverage and Medigap. However, if it isn’t one of the diseases above, you typically have to wait two years after first receiving social security disability benefits to start Medicare. After 24 months, Social Security Administration signs you up automatically for Medicare. Even if you are under the age of 65, your benefits remain the same as coverage doesn’t depend on age. The following covers the different parts of Medicare and what is covered under each. Medicare covers services like doctor visits, surgeries and lab tests. Supplies like wheelchairs and walkers are also covered since they are viewed as necessary for conditions and diseases that limit functionality. What isn’t covered under Medicare Part A, excluding prescription drugs, is covered under Medicare B. There are different parts of Medicare B that take care of your services and supplies for medical needs. Medically necessary services: these are supplies or services that are necessary to diagnose and treat any medical conditions and also meet accepted standards of medical practice. Health care that prevents illness like the flu or that can be detected at an early stage when treatment is most likely to work better. You don’t have to pay anything for preventive services if you receive care from health care provider and who accepts Medicare plans. All plans offer different services under Medicare Part C, so you’ll need to compare and look for the best plan for your health and budget needs. Major health insurance companies offer plans for as little as $40 a month, but you still have to pay your Part B premium in most cases. Discounts are available depending on your income. Under Medicare Part C, End Stage Kidney Disease is not covered. If you have questions involving Medicare and what you qualify for, you can always reach out to MedicarePartC.com for specific answers. 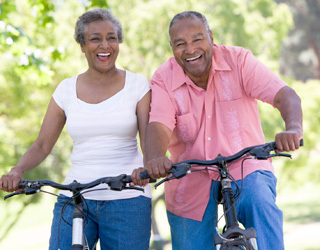 We also answer various questions related to Medicare and Medicare Advantage right on our site. With videos and different guides, we aim to make it easier for individuals over and under 65 to receive their Medicare benefits.